In a declared war, which side do you think would win? Cold War: An intense political, economic, military, and ideological rivalry or competition between two nations on the brink of war. This is the state of affairs between the Horde and the Alliance. Though war has not yet broken out, bloodshed has occurred from small backwater outposts, to our capitol cities.  Communications are dead, relations are dead, and many of our comrades are dead, thanks to a mutual kill on sight policy, which both the Horde and the Alliance have adopted. Fighting has already broken out in Warsong Gulch, the Arathi Basin, the Alterac Valley, and the "Eye of the Storm". And if that weren't enough, we've taken the conflict to the Outland. War is inevitable, unless we begin peace negociations again. If war does occur, the Alliance is doomed to fall, with not a bang, but a whimper. We must pursue peace, or we will perish in the coming fourth war. First off, the Horde has us beat strategically. To illustrate, let's spread this problem before us. Keep in mind, the map is very crude, and incomplete. 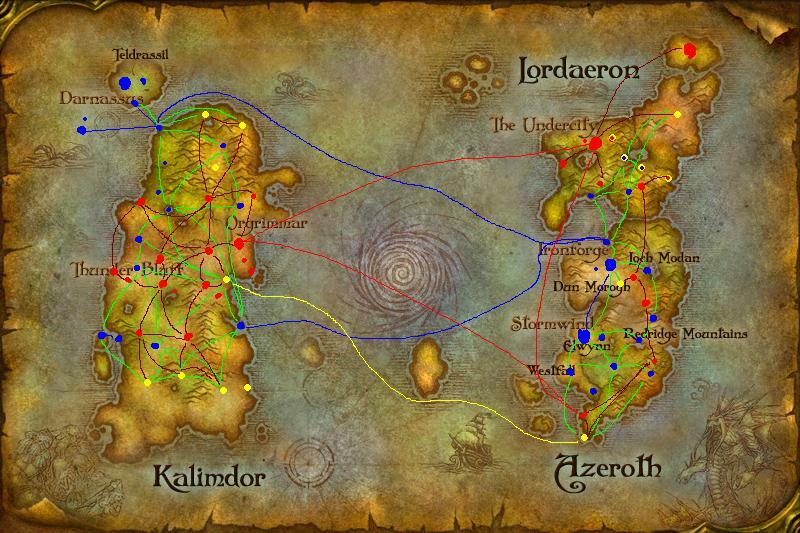 The Red dots signify horde towns, while the blue ones signify alliance towns. 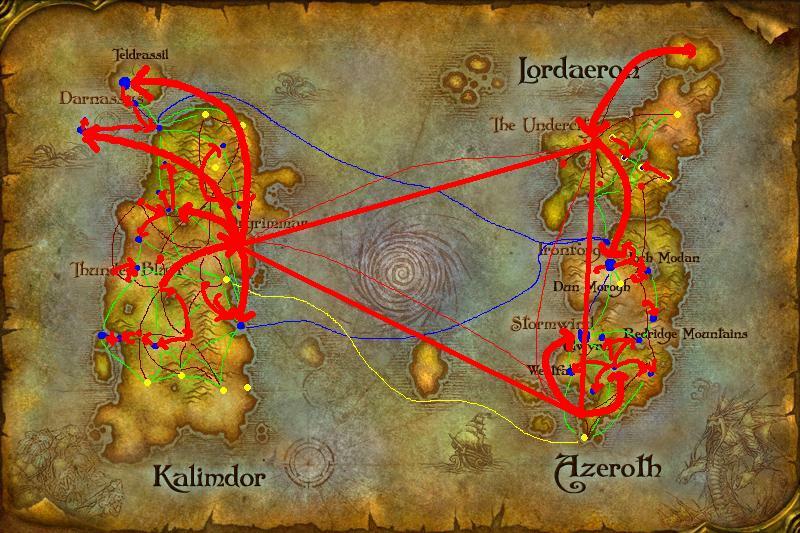 The blue lines represent our shipping lanes, while the red lines represent the airship lanes for the horde zepplins. Yellow Dots represent neutral towns and yellow lines signify shipping lanes. If a yellow dot has a blue or a red dot inside of it, that means they are inclined toward one side or the other. In a time of war, we, the Alliance would rely on our control of the seas to stop the Horde. They have very little control over the oceans, however, we have mastered it, and we have the power to impose a naval blockade, which will consequently starve out, and strike at the Horde. So long as our blockade and our main power bases are intact, there is not a problem. Basing our assumptions off of previous Horde warmaking, this is what the expected Horde Strategy is, a land based attack on our major cities, by plowing through our territory, using existing zepplin routes, and land based thrusts. But Thrall has an ace up his sleeve, which most Alliance warmakers haven't considered. Why would Thrall, a brilliant strategist, and someone who cares about his casualty rates, squander his resources by making costly, time consuming thrusts deep into our territory, when we can make almost direct thrusts into his territory? The simple answer is he wouldn't. But he has a way to get around this minor problem, his Zepplins. The Horde currently has an air armada, which has the capability to ignore the battlefronts, and take the battle exactly where he wants it. Our air forces are modest at best, and have a limited range, but Thrall's Zepplins have the capability of launching invasion forces directly into our capitol cities, heading straight for the throat, while he mops up the rest. We can attempt to counter with our navy, but we've seen many times before, that airpower defeats seapower almost every time. And with new technologies acquired from the goblins and the march of time, he can destroy our ships with one weapon, explosives, dropped from these Zepplins. The advantage lies squarely with the Horde. With this we can see, that the only way to counter the Horde is for our forces to be at 100% strength, and for our technology to increase dramatically to counter this problem. Currently, we can do neither. Currently, our forces are at no more than 32% efficiency, and this number declines every day. Unfortunately, we are an empire in decline, and we're declining fast, while the Horde's empire is rising, and growing. The primary reason we are faltering is due to internal threats, which strike directly at the source of our vitality, resources. Without raw material and food, our armies go nowhere, and our population starves to death as the Horde move in to pick up the pieces. Right now, the Alliance is in the midst of a resource crisis, because our once abundant resources are falling out of commission. First we will concentrate on the Human Kingdoms, which encompass Elwynn Forest, Westfall, the Redridge Mountains, Duskwood, the Arathi Highlands, and Hillsbrad foothills. Out of these areas, there are about 25 farms, six of which are in operation, and three of these are in danger of falling as well. There is one farm in Hillsbrad, which is always under attack by Marauding horde parties, one in Arathi Highlands, just a stone's throw away from Hammerfall, Three in Elwynn, which are relatively safe, if the Defias and the Kobolds don't try to expand thier already extensive holdings, and one in Westfall, which occasionally falls under attack by defias raiders, attempting to assasinate the sole inhabitant of the farm. It is likely that these areas will fall soon. The other food sources are controlled by our enemies. The Defias Brotherhood currently controls all but four of every farm and mine from Elwynn Forest to the Border of Stranglethorn Vale. 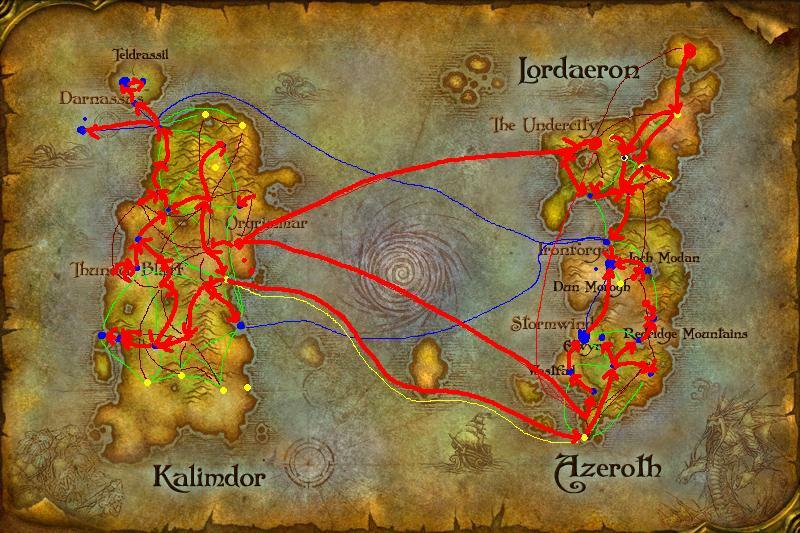 This includes the twin breadbaskets of the Alliance, Elwynn Forest, and Westfall. The Defias Brotherhood now plans on expanding its holdings, and they will do so, so long as corrupt members of government remain in power in Stormwind. And what of the great production capacity of Ironforge? What can they do to stop this war? Unfortunately, not much. The bulk of thier industrial power has been shifted, at the wrong time, to Archaeology, instead of mining. With the mines in the Human Kingdoms all taken over, it falls to Ironforge to produce, but thier capabilities are stripped as well, with thier workforce shifted to Archaeology, and their mines taken over by ravenous troggs, and kobolds, and the most menacing of all, the Dark Iron Dwarves. The Dark Iron Dwarves are not only a short mountain climb away from Ironforge mountain, but they are subversive terrorists, who have dug deep into the Dwarven Kingdom's internal organs. The Dark Iron Dwarves have taken over the Thandol Span, and Grim Batol. There they threaten to isolate everything north of the Thandol Span, by blowing the bridge up. This will be incredibly costly to the Alliance, because everything North of there, including two vital Alliance farms will be cut from the mainland, and whither on the vine. The Forsaken, and the Sin'Dorei will not let this opportunity slip through thier fingers. 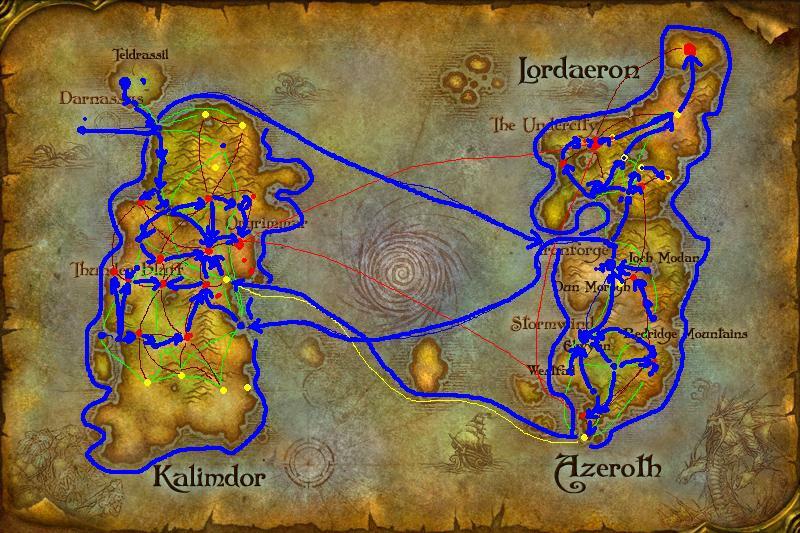 They will drive South, until they reach where the Thandol Span used to be without the steady supply of troops, and supplies, and create a Fortress out of Lordaeron, making thier removal impossible. Almost immediately afterward, the Dwarves will blow up the Dam holding the waters of the Loch of Loch Modan back, not only destroying the freshwater supply of Ironforge, but creating a massive destructive flood, which will make it's way toward Menethil Harbor. The floodwater's path to Menethil Harbor is carved out for them, by the barrier mountains, and the contours of the earth, headed straight for that direction. The Harbor will be overwhelmed, and will take many months to rebuild. This halts all Alliance intercontinental travel, short of the Steamwheedle Passenger ship, the Maiden's Fancy, which can't hold that much, and ports in the middle of Horde territory. Our powerful navy in the Eastern Kingdoms will be nonexistent. Thrall can then move his Zepplins in on the crippled kingdoms of Stormwind and Ironfoge. It then falls to the Draenei, and the Night Elves to end this cycle of destruction, but they are even less capable of stopping this cycle than Stormwind and Ironforge is. The Draenei and the Night Elves are still rebuilding thier territories, while internal, and external problems plauge the Night Elf Kingdom. For one,the Night Elves' leadership is faltering. Tyrande Whisperwind, who weilds about half the power of Darnassus, is being overshadowed by Arch-Druid Fandral Staghelm, who is indecisive, arrogant, compulsive, and angry, the qualities of a terrible leader. He alone could have prevented the current cold war, but instead, he engaged the Horde in Warsong Gulch, solidifying the conflict. Meanwhile, the wildlife of all Night Elf territories is suffering to both the corruption afflicting Teldrassil, and the demonic corruption stemming from Felwood, which is beyond saving. As you venture closer to the borders of Felwood, the creature grow more and more hostile, and corrupted. This attacks the food supply once again, with corrupted meat, and hostile creatures tapping the area of it's resources. The Burning Legion has again moved from Ashenvale Forest, to Teldrassil itself, with increasing Grell, and Satyr sightings there, and reports of Dreadlords in Ashenvale. So far, both the Draenei and the Night Elves have been able to cull the threat, and if aid is cut off from Stormwind and Ironforge, they too will fall. With this we can see, that by continuing, or escalating our current policy with the Horde, we write our own death sentence. The Horde only has to wait for a formal declaration of war, or for our internal enemies to eat us out from the inside. The advantage lies in the hands of the Horde, unless we deal with our internal problems, and even then they will win. The only option here is peace, so we not only not have to worry about ourselves, but we can begin a united drive against the Scourge, the Silithid, and the Burning Legion, and make Azeroth a better place, through cooperation, not warfare. hatered runs deep between the two factions, peace is difficult if not imposible. I would rather die than ally myself with the forsaken as i don't believe they should exist at all. I would not ally myself with the bloodelves as their lust for magic will consume them and their allies. I would not ally myself with the orc, because even though i realize that the current orcs were not the same that slayed cenarius, i can not bring myself to fight with them. I speak only for myself, but i feel that others share my view. as you mentioned, the horde has controll of the air. The most effective counter for this would be assault the zepplin landing areas, to either destroy or take over the zepplins. This would start war, not making it the best option. you say that we have little in the way of air power, and limited range. the dwarven griphon riders have been shown to be extremely effective at countering air attacks. There is also a collection of elven archers who can fight from hypogryph. The gnomes currently do not have their air machines opperational due to the loss of gnomeron, but if a large enough collection of the wandering champions of the land are assembled, it could be retaken and the air machines made functional. I do not pretend to know the exact size of the hordes zepplin force or our air force, but i think you are underestemating ours. The horde is still recovering from the last war same as we are, it will take more time before either of us are ready to wage war. Since you pointed out are weak points there is still time to cover those weaknesses. I agree with you that the the alliance should regain controll over its resources. all that said, I am not interested in starting a war. That would require fighting the Tauren who i believe are noble creatures(many are druids), and I do not wish to fight them. The current situation will have to suffice, with each of us combating the Scourge, the Silithid, and the Burning Legion seperately. I think it is worth mentioning that there is a joint force defending the portal to and from the outland stopping another legion invasion. When both Alliance and Horde are in danger we do work together, but differences keep us opposed. Dawnshifter, you do bring up some good points, but there are a few things you haven't considered. As far as the horde goes, it's unrealistic, if not simply ignorant to not make peace with them, in all thier aspects. They can be powerful allies, and powerful enemies as well, accepting some, while forsaking others is just as bad as the current situation. As far as morality goes, the Forsaken are victims of Arthas's plauge, they are against him in every fashion, and they would do anything to see him removed from power, they were not the aggressors, we were, they are simply reacting to the threat. Thier reaction will be a problem. The Blood Elves' obsession with magic is not uncommon, even within our own circles, however, it's not as if it cannot be cured. My ancestry traces back to the highbourne, who were also obsessed with magic, however, they reverted to the side of the Night Elves during the War of the Ancients. The way to deal with a cancer is to remove it, not to kill the person. The Blood Elves were also a full fledged member of the Alliance, which we aided. Tyrande Whisperwind even helped the Blood Elves at a time, and they helped us back, tracking down Illidain Stormrage, and finally rescuing Tyrande Whisperwind from the Scourge. Then Grand Marshal Garithos betrayed them, and sent them on a path towards the Horde. Finally, there's the Orcs, who you say killed Cenarius. This is true, but these orcs were bloodlusted by Mannoroth's corrupted fountain, and lead by the overzealous Grom Hellscream. We also attacked the Orcs first, without warning. Instead of a murder spree, we should have notified them to stop, or provided an alternate means of construction. After all, how did we create our buildings? You also forget that without the orcs, trolls and Tauren, we would never have won the battle of Mount Hyjal. That's a debt we haven't yet repaid. Secondly, you mention a preemptive strike. Yes, a preempive strike would be effective, but it would be incredibly difficult to pull off. A pre-emptive strike would need to strike all three zepplin landing zones, as well as many important Horde cities which could build up another tower in a few days, or the ones that don't really need a tower. A Zepplin could even cast a rope ladder to load up. This means, our preemptive strike would have to strike at almost every horde city there is, at the same time. We would also have to simontaneously destroy thier air fleets, with our air forces, Gryphons, Hippogryphs, and Gyrocopters, which are equally matched by Horde Wyverns, and Bats. We then have to deal with the Zepplins, which will be far more heavily armed in time of war. Our air forces when compared to Thrall's are meager, because we don't have the zepplins. These Zepplins are particularily dangerous because they can drop enourmous landing forces at any point on the map. You mentioned that we should get Zepplins as well, and yes, this is needed, but we'll be building our fleet from the ground up, which takes time. Thrall realizes the potential of the Alliance having Zepplins. Upon knowledge that we have purchased Zepplins from the Goblins, he will launch his invasion fleets in a pre-emptive strike of his own. Our position is almost in a checkmate. You did mention that the Horde is recovering from the last war. This is true, but mainly in Lordearon, where thier new societies are growing, not shrinking like ours, but in Kalimdor, the homelands of the Orcs and the Tauren were virtually untouched, while the war raged in Ashenvale forest, and Felwood. Also, the Horde, as an empire is rising and growing. Our empire is in decline as I mentioned. Regaining our resources is going to be very difficult, but we must regain them, because if we are not at 100% strength in wartime, we will fall. Thrall knows this, and knows we are faltering now. He's simply containing us at the moment, letting us whither. Because of this, it is impossible to believe that the current situation can continue, or the Alliance will fall, and the Horde will be the supreme force in Azeroth. I'd rather have him for an ally, not a ruler, or an excecutioner. Though the alliance is troubled by many internal strifes, the Horde suffers from many of their own affairs, I've heard of a Legion coven within Orgimmar's center, which they must feed in warriors daily to keep the threat in check, factions of warring trolls, and those who do not trust Thralls, diplomatic leadership, not to mention the Forsaken and Blood Elf actions often threatening to tear them apart. If the Horde over exendens their forces, these will become minor threats which will pounce, for the Legions favor. And with all these therotics about the horde and the alliance, you forget many of the real threats, not petty mortals fighting over farmland or lumber, or morality, but the Trolls attempting to bring the Blood Lord into this world, the dragons crazed from the damage to the Emerald Dream, the Legion pouring through the portal, forces of the Elementals pushing into Winterspring or Silithus, and Anh'Qiraj forces gathering behind their wall. We need both the whole of the Horde and the Alliance to gather their might and wits, and deal with these problems of other worldly forces which are far greater threat, before squabbling over clumps of dirt and splinters of timber. I restate: "a question of currency"
We are not in debt for the battle of Mount Hyjal, since success was crucial for all races survival. I don't believe peace will happen, and have no intention of leaving the undead be, no matter what flag they fly. I don't care who rules them. They are against life, and upset the balance. I hope for all our sakes there will be a solution to the blood elves deep addiction, you were lucky and broke the addiction early, they are strongly hooked. I do not wish to go to war against the horde, I just felt that the argument needed to consider both sides. pursue peace, time will reveal solutions as it always does. The difference between our empire and thiers is that they are a rising society, growing, and taking out it's threats, while we are an empire in decline, gradually succumbing to them. What you said about external threats is completely true, we need to promote peace in order to deal with these threats. We cannot continue to last under the current policy, we must make peace, deal with our internal cancers, then with the combined strength of the Alliance and the Horde, deal with the Scourge, the Silithid, and the Legion. I have noted your question of currency Dawnshifter, but if we started building fleets from the ground up, Thrall will attack with his already well established fleets. He has the experience, the resources, the drive, and the numbers to take whatever fleets we purchase out fairly easily. Yes, we do need peace, as well as our strained resources. War is more of a death sentence to us, because of our constraints. Thrall doesn't even have to declare war to bring us to our knees. He only has to wait. What you say about Mount Hyjal in that it was essential for all races survival is true, but it was the Night Elves responsibility to safegaurd the world tree. The Horde helped to shoulder that burden, as well as the Human alliance, which would have fallen if not for the high elves', now blood elves magic. Peace must happen with the Forsaken. As I've said before, they didn't ask for thier curse, and most don't like it any more than we like it on them. However, they treasure life, and accept the fact that they will have to deal with thier undeath. Is thier undeath thier fault? No. Are they mindless? No, they think as we do. They want the scourge, the silithid, and the legion dead. They have joined the Horde because we attacked them, and we are genocidal towards them. Any addiction can be cured. I have met several sober Dwarves in my day. I have met many unaddicted high elves. My sister has even told me of two Blood Mages who were not nearly as addicted as many of the Elves occupying silvermoon. As I have shown earlier, I am an advocate for unconditoinal peace with the horde. Having explained why it's necessary, I will now explain, why this Alliance is beneficial. An alliance with the Horde would mean we can bring our troops, who are fighting in Alterac Valley, Arathi Basin, Warsong Gulch, and the Eye of the Storm, home. These troops can be used to recapture Gnomeregan, to reclaim our resources, to drive the corruption out of Teldrassil, and the rest of the night elf lands. While they can cure thier lands in similar fashion. They will be able to deal with marauding centaur clans which have struck at the Alliance just as much as they have struck against the horde. They can better confront the Burning Blade, they can find a cure for the plauge, and the Blood Elf addiction, while driving the Scourge from Lordearon. Mutual assistance will be beneficial in these aims. With our resources reclaimed, we will become the agricultural, and industrial powerhouse of Azeroth. Without hamstrings, our farms in westfall could feed millions on both sides, while our immense industrial capacity, stemming from Ironforge mountain, but expanding across the globe will be able to provide the tools to defeat any enemy. With the Horde's help, the internal conflicts within our kingdoms will be a thing of the past, and we can focus on more important initiatives. These more important initiatives being of course, dealing with the scourge, the silithid, and the Burning Legion. Without our constant strife, our position becomes less of a quagmire, and more of a solid force, jutting out towards the enemy. Divided we fall, united we triumph, we saw this at Mount Hyjal. We can send committed naval fleets to blockade Northrend, to stop the flow of undead reenforcements to Lordearon, while both the Horde and the Alliance work together to cull the threat in Lordearon. Without a division, we have the tactical advantage, coming in from the Undercity, from the South, and from Silvermoon. The movement back to what Lordearon once was will be unstoppable. The Silithid can then be dealt with, using the upper portion of Kalimdor, a portion which is currently racked in a viscous undeclared war, we can drive straight down into Silithus with overwhelming numbers to pacify the insecticoid threat. Finally, we can turn our attention the greatest menace of all, the Burning Legion in Outland, sending what we've got through the portal to break the siege, and to stop demonic forces from consuming our world. With this we can see that it is impossible to fight four great powers at once, by turning one, a most important one, which has proven its worth many times, to our side to mutually fight those who conspire to destroy our world.